Bangkok is rapidly becoming a more attractive place. Some of the newer building especially. Here's some views from the Rompho Mansion in Klong Toei. The air seems to be getting cleaner year by year. the view into the city from out here in ramkahmhaeng is pretty good, can see baiyoke most days. I can't rewrite the tittle. Only the moderator creatures can do! I reckon I'm a bit of a romantic, Earl..
How about Bangkok "skylines" from the 1890s? Not that I could discount the modern skyline of Bangkok, as it truly has it's moments. And becoming quite distinguised and recognizable. This thread theme has possibilities. Just a small detail .... some of those buildings in the photos are on "septic" systems. BKK (like Dubai) has a very poor sanitary sewer system. While one expects rural areas to have septic systems, the larger cities should have proper Sanitatary Sewer Systems. China is just as bad. Eventually these areas will generate large epidemics. Also remembe rmost of the farmed seafood in Asia is grown in rural areas which regularly flood during monsoon season. The septic systems over flow spreading effluent all over the rural areas. Haha I was here in 1979 and the tallest building then was the Grace Hotel! I remember first walking off the 727 using the stairs and the blast of hot humid air. Today my taxi took me a roundabout motorway route the down town skyline looking east from.west is something. No pics I gotta do that with my camera out. Night time scenes are fantastic in some areas. Lots of buildings take on a whole new dimension when lit. Long time since Bayoke was the highlight of the sky at night. I recall when the Chochai Building on Sukhumvit was the tallest. Used to live down at the dead end of Suk Soi 11 at the Chand House just past the Ambassador Hotel. Good thread Earl & great pics! You chose some particularly ugly examples. Check out the Park Ventures Ecoplex on Ploenchit. 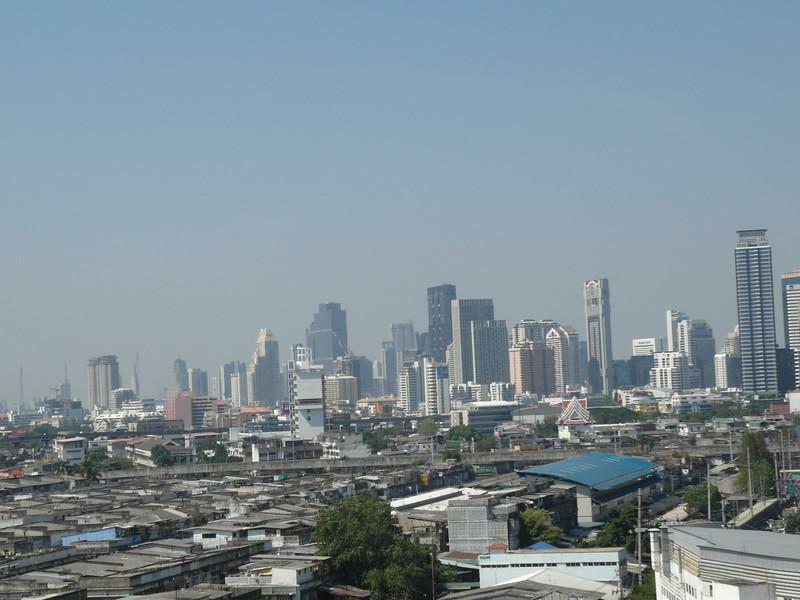 I reckon the best view of Bangkok is when you are driving north of the elevated Bangna Trad tollway as your travelling over Bangna and about opposite the Convention Centre on the left. On a clear day you can see most of the Skyline leading down to china town including the Ratchada-Pisek area and the 3 bridges spanning the Chaopraya River on the left. Looks like pic was taken from Bamrungrad Hospital; snapped a shot while getting yours. 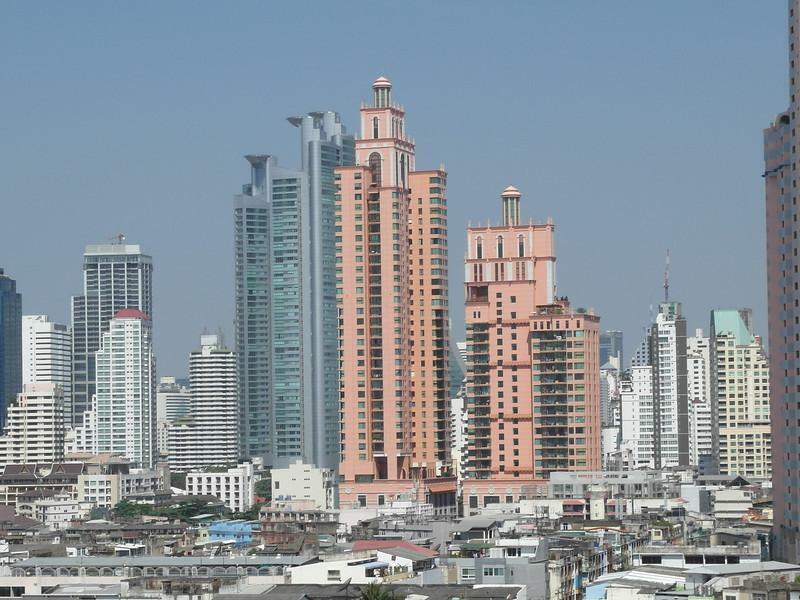 I remember going to Phnom Penh in the late 90s and the tallest building was 8 floors. Now a new condo, apt. or office building goes up every week. Back in the 70s Pattaya was just a fishing village or so I've been told. 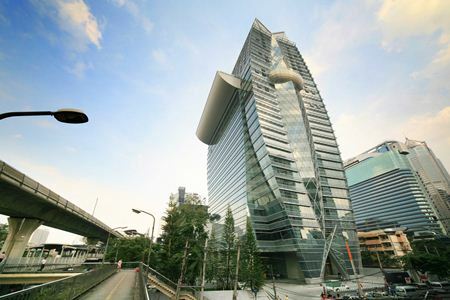 I honestly find it difficult to see what is "beautiful" about these buildings. And the comment about the clear sky is particularly unfortunate when you consider how cancerous the air is in most parts of Bkk. The best view of Bkk is when your plane is taking off from Suvarnaphumi and you don't have to see any more this dump of a city. Always one in every crowd! I never feel like I'm truely out of Thailand until I look down at the city after taking off, then my 'Thailand' mode switches off. 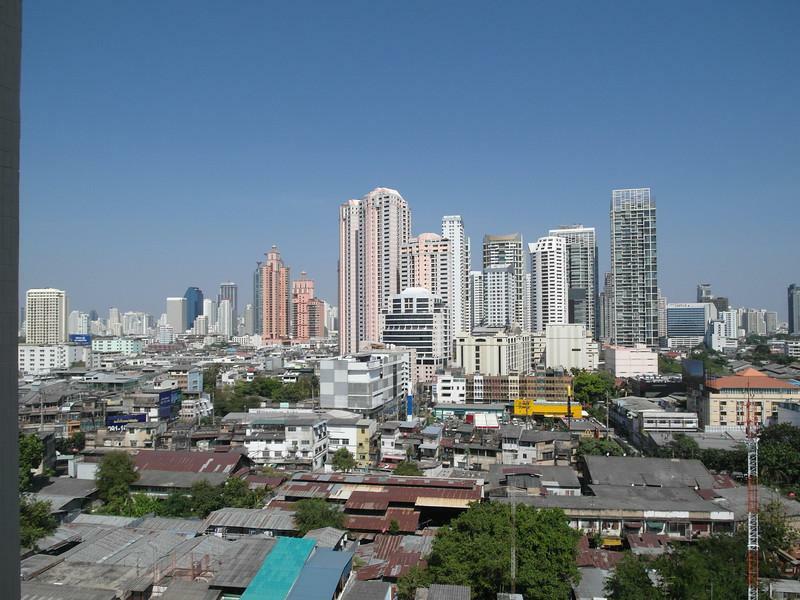 Bangkok is certainly not a city defined by it's great commercial architecture. What we have here is mostly non-descript glass towers, neo-classical monstrosities and crude copies of other buildings. But there a few gems out there. 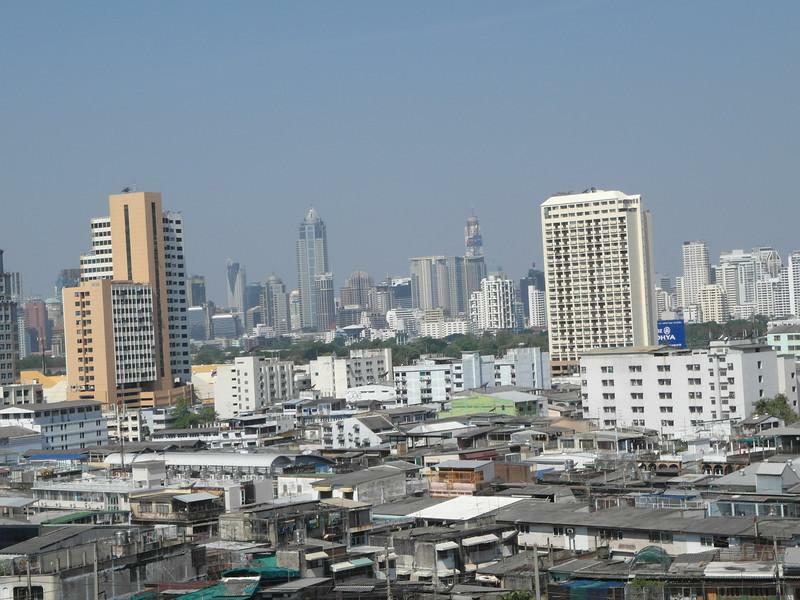 Bangkok has many small skylines scatterered around town. 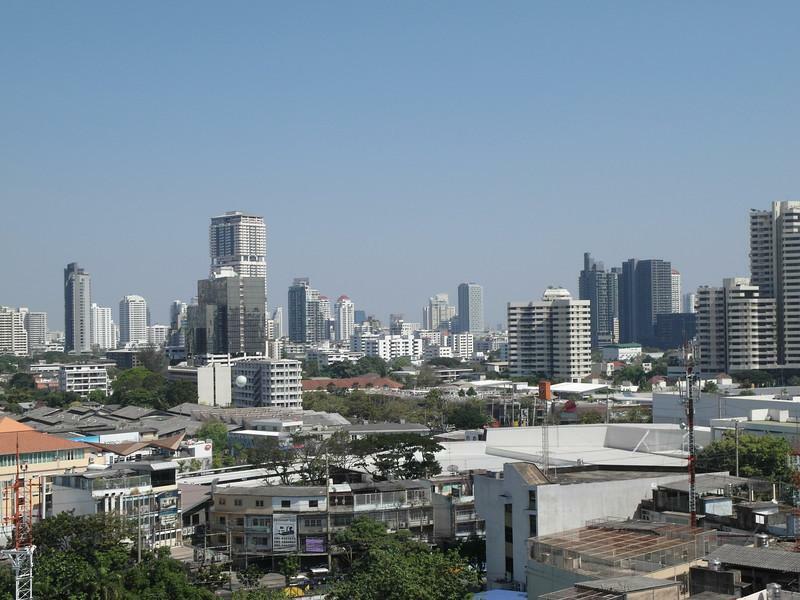 We now have the area around Rama 1V and Ratchadapisek with a growing secondary skyline made up of hotels, commercial buildings and many new condominium developments.